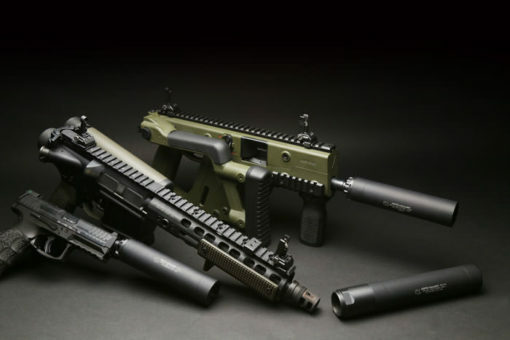 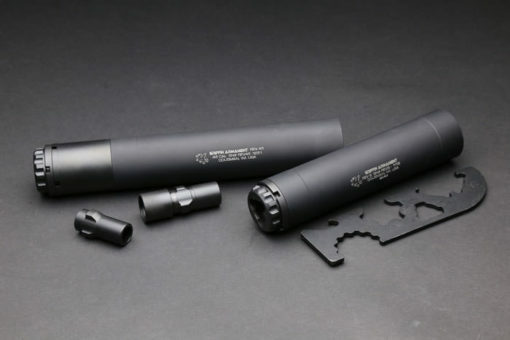 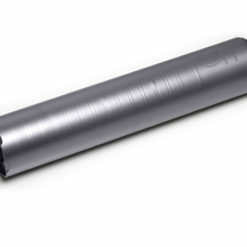 The Revolution 9 and 45 silencers were first to market with the modular length feature concept. 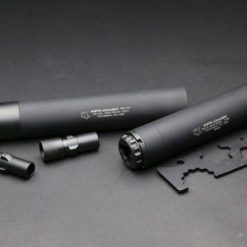 The removable booster extension allows the user to configure the length of the suppressor to fit their needs. 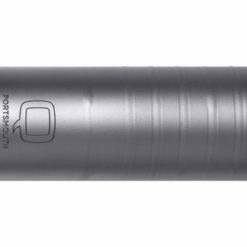 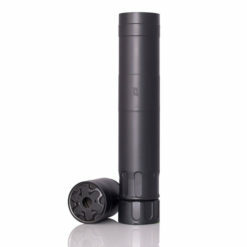 The silencer is user serviceable ensuring long, high performance service life. 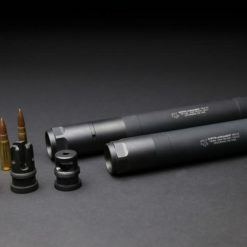 The front caps can be interchanged for smaller calibers with 9mm and 22 caliber front caps, available separately. 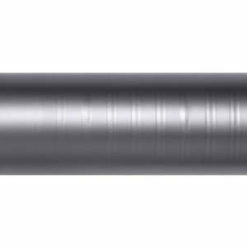 17-4 stainless heat treated baffles, with anti-rotation (Return To Zero) Geometry features, ensure maximum strength and sound performance. 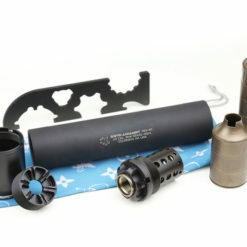 The booster assembly includes a piston for a turnkey suppressor system out of the box. Included take down tools allow for an easy and satisfying end user maintenance experience. 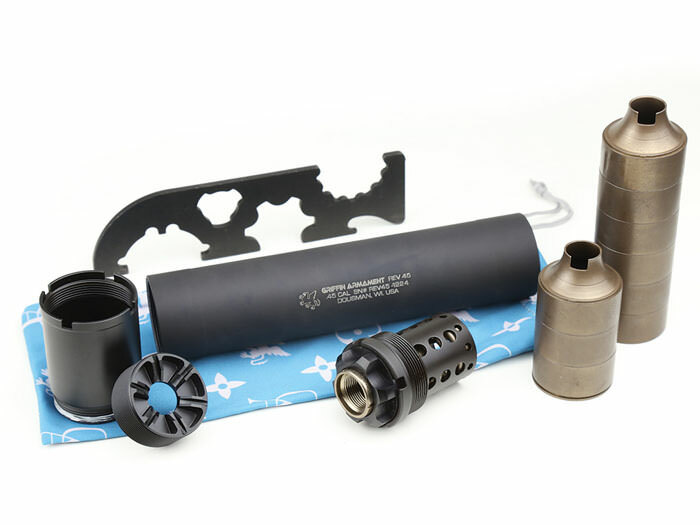 Additional pistons, fixed barrel spacers, an integral 3 lug adapter, and fixed direct thread mounts are available to support the Revolution in any configuration the end user could desire. 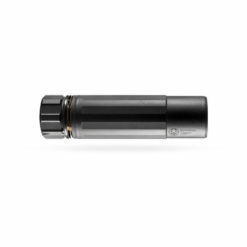 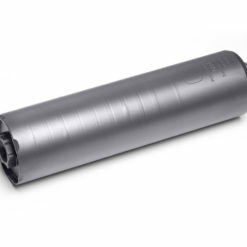 High quality, industry leading performance, strength, unparalleled feature functionality, build quality, and price make the Revolution a clear winner in the modular class of silencers. 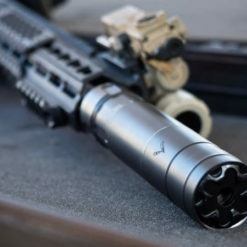 The Rev 45 can also be configured into a short (K) configuration by removing the stainless black oxide external booster housing extension and collapsing the booster housing or 3 lug assembly into the silencer tube. 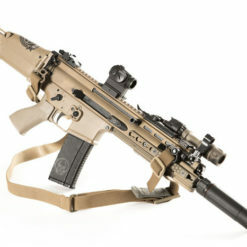 This configuration is best used wet. 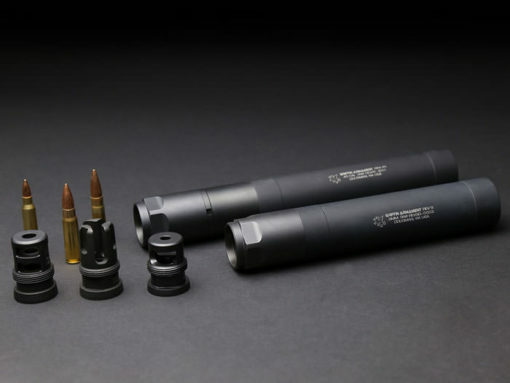 By adding 5cc’s of rem oil, wire pulling gel, or some other ablative medium sound suppression can be dampened extremely well in the short configuration. 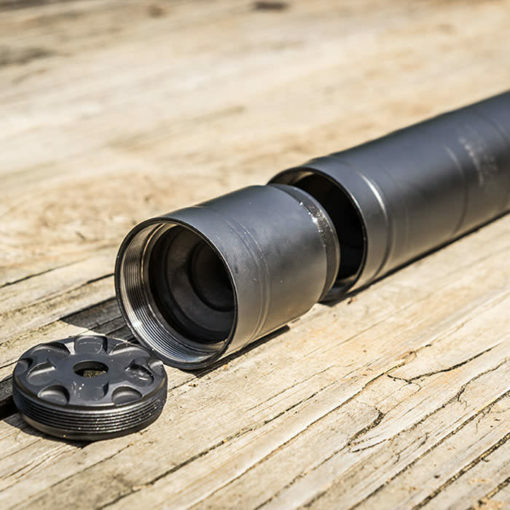 The Rev 45 is shipped in it’s full size configuration with an included .578×28 booster piston to run on your 45acp pistol barrels. 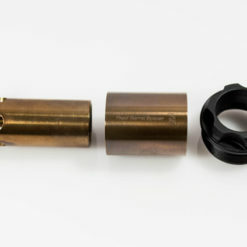 However the user can swap out the included piston with other pistons for use on 40 S&W, or 9mm. Additionally our integral 3 lug 9mm QD assembly can be interfaced if desired to run on 9mm MP5’s, AR carbines, or any 9mm wearing a standard 3 lug coupler. 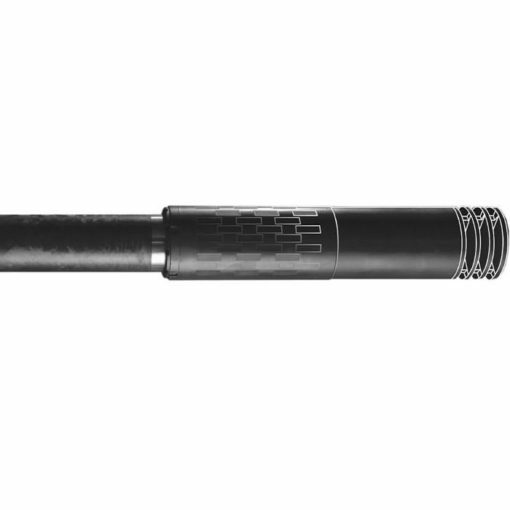 Rev9 & 45, ALL configurations below – 5 TO 7 ROUNDS then allow to cool to ambient temperature. 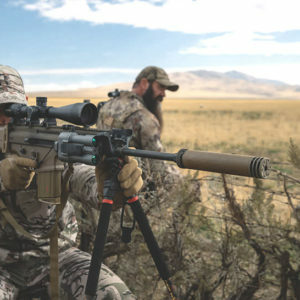 – These ratings are intended for sporting (hunting) use only. 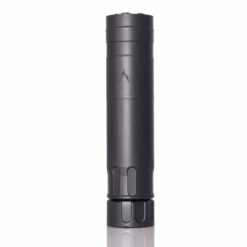 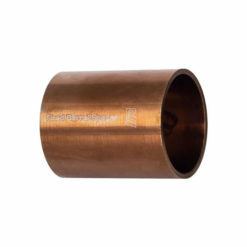 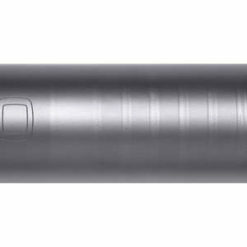 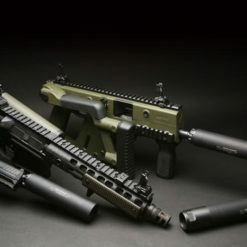 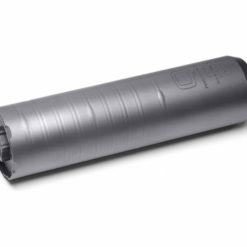 ** New Revolution Tool is only included with the 3rd Generation (MOD3) of Revolution Silencers.